“Empire” star Jussie Smollett has a message for young people in the LBGTQ community after he survived a suspected hate crime in Chicago last month. 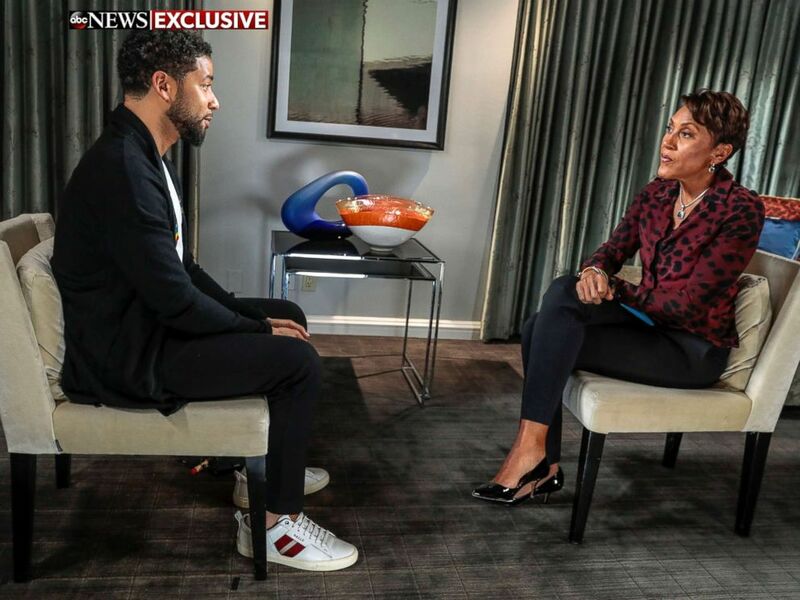 Jussie Smollett speaks with ABC News' Robin Roberts, Feb. 13, 2019. Smollett, who portrays a gay musician on Fox's "Empire," said the attack happened on Jan. 29 at around 2 a.m. as he was leaving a Subway restaurant in Chicago. He told police that two attackers got his attention by yelling racial and homophobic slurs at him and then put a noose around his neck and poured an unknown substance, likely bleach, on him, according to an initial police incident report. 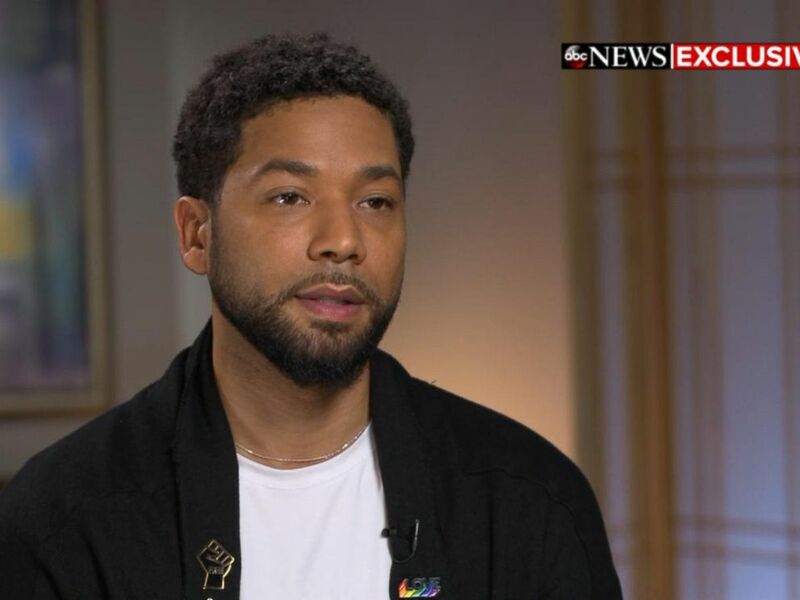 Smollett, 36, told Robin Roberts in the interview that aired Thursday on “Good Morning America” that he wants video surveillance of the alleged attack released. “They ran off. I didn't,” Smollett added. Police in Chicago announced Thursday they have identified and are questioning two "persons of interest" in the alleged attack on Smollett. Neither of the individuals has been charged with any crime related to the alleged attack, and there is no evidence that they were involved in any attack on the actor, police said. Smollett, who suffered minor injuries, said he gets “threatened all the time” on social media. The week before the alleged attack a letter was sent to Cinespace Chicago Film Studios, the studio Fox uses to film "Empire" in Chicago, with threatening language and laced with a powdery substance, likely Tylenol, according to police. The singer revealed that he didn't want to call the police at first after the attack but his friend and creative director, Frank Gatson, did so on his behalf. 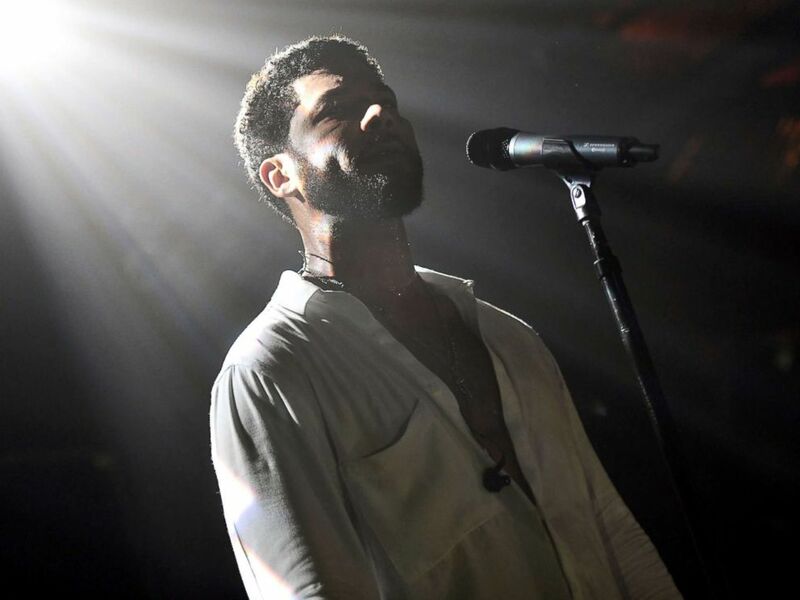 Singer Jussie Smollett performs onstage at Troubadour on Feb. 2, 2019 in West Hollywood, Calif.
Smollett said he is “forever changed” by the alleged attack and he believes he has a responsibility to make “something meaningful” out of what happened to him. The singer spoke out in his first interview after people questioned his account.